This part of town has been popular since the turn of the last century among tourists who prefer to stay above the Elbe Valley. 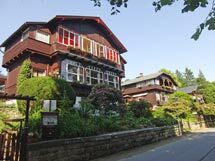 The architecture of Ostrau is mainly framed in grand wooden villas, which were built in 1903 by the famous hotel owner Rudolf Sendig. He took his inspiration from country houses in the mountains of Switzerland and wanted to introduce the people of Bad Schandau to an Alpine way of life. The beautiful plateau of Ostrau, perfect starting point for walks, stunning views across to the Schrammstein Rocks and over the Elbe Valley and the surrounding hills had, in his eyes, a great future. The building of the villas funded tourism in Ostrau. The accommodation is always well sought after by tourists. 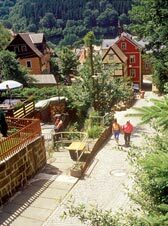 This is a typical shipping village consisting of pretty, traditional timber-framed houses that huddle against the sun-drenched hill underneath Ostrau. There were many traditional trades in this part of town once. Most visible of the things that remain are the old Postelwitz quarries, which you can see as light sandstone walls at one end of the village at the foot of the Schrammstein rocks. Opened in the 16th Century, the quarries were the most important of their kind in the whole Elbe sandstone region at one stage. The sandstone for Schandau’s church, the Dresden Zwinger, the Church of the Holy Cross and the Church of Our Lady in Dresden all came from here. The stone quarried here had a particularly even grain and was especially weather proof. 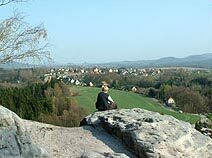 A tourist place perfect for walkers who want to discover Saxon and Bohemian Switzerland. Schmilka was, like Postelwitz, a traditional old shipping village. A longstanding and celebrated tradition here is the “Schifferfastnacht” (nautical carnival), a festival still held in a lot of communities along the River Elbe. It goes back to a time when the Elbe was frozen in winter and the skippers were out of work. Unemployment ate up savings quickly and left everyone longing for warmer days to come and the return of shipping. In January/February the whole village assembled to cast out winter and celebrate the Schifferfastnacht. The tradition lives on. The skipper’s clubs of Postelwitz, Prossen and Schmilka visit each other during their processions and show a lot of staying power when it comes to partying. This is a place where merchants, painters and artists have stayed, dined and wined since the Middle Ages. 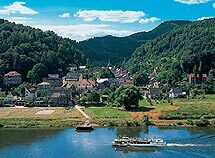 Krippen is one of the four Bad Schandau districts and lies on the left bank of the Elbe, a ferry ride across from Schandau’s town centre. It has direct train, bus and ferry connections and offers tourists a good starting point for their adventures. Friedrich Gottlob Keller, the inventor of groundwood paper, lived in Krippen from 1853 to 1895. Today, his house is a museum and shows interesting exhibits dating back to the beginning of the paper-mill industry. The hotel “Grundmuehle” was initially an old mill. Apparently, there were once four water mills in Krippen. Another interesting feature is the Sun dial path, a walk way with 23 individually designed sun dials dotted around Krippen. This part of town runs along the narrow valley of the “Lachsbach” (salmon stream) all the way to “Ebenheiten” (planes). There are differences in altitude of almost 90 metres within very short distances. The place and its people always had a close relationship to the surrounding countryside, which in turn shaped them. Since the second half of the last century, tourism has picked up steadily. The village is well connected by bus and train. 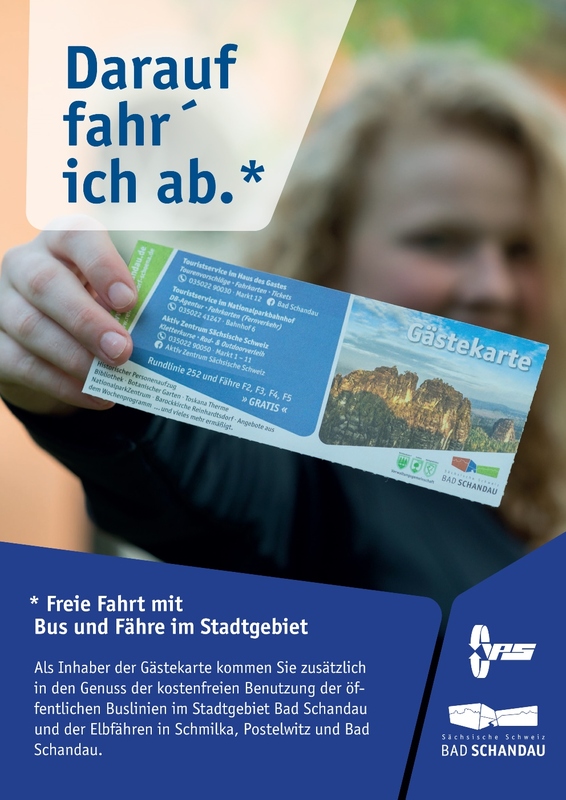 A special treat is a train ride with “Semmeringbahn” through the narrow Sebnitz valley, passing through lots of tunnels and over viaducts. 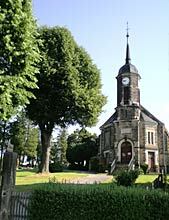 The heart of the village is the protestant church, which was built from sandstone in 1903/04. The village green has been newly refurbished. You will find a number of walking paths with beautifull views around Porschdorf. 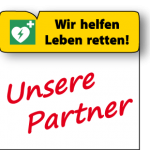 “Heinriche von Gryslow ozu Prossentin”. The village of Prossen developed step by step after the manor was established. The people of Prossen worked mostly in the quarries or as skippers, if they weren’t needed as staff at the Manor house. Tourism, today the main industry, took off about a hundred years ago, when Prossen was referred to as a “summer resort”. The old Manor House still marks the heart of the village. Prossen is well connected to public transport and the paddle steamers on the Elbe. If you come by boat, there is even a small marina in Prossen. A cultural highlight and a big draw for tourists each year is the nautical carnival (Schifferfastnacht) held every third Saturday in January. This village nestles between the woods of the plateau that rests between the “Lilienstein” table mountain and the Polenz valley. A number of villas in Neuporschdorf are witness to the start of tourism in the area at the start of the last century. The “Lilienstein” forms part of Waltersdorf. 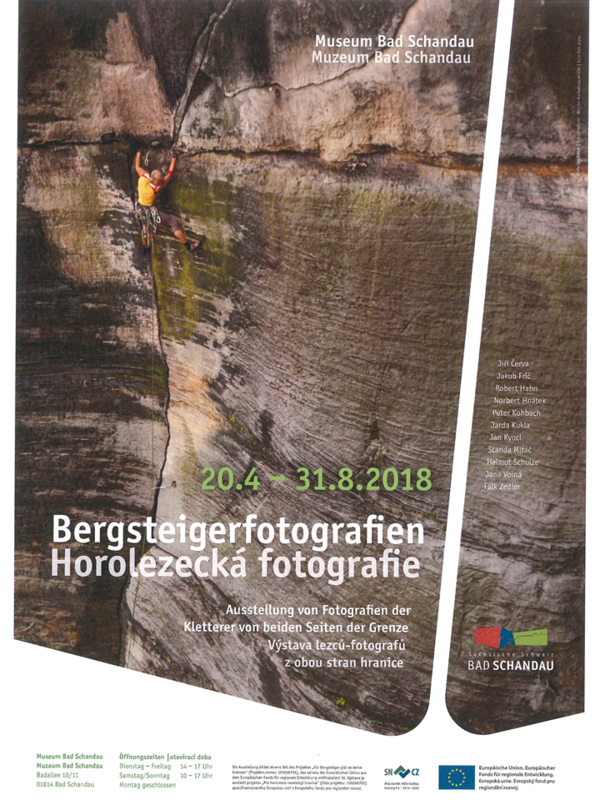 Around 1800, Götzinger described in colourful words the spectacular views one gets from the top of Lilienstein. The region was also affected by war. In 1813, Napoleon incorporated the Lilienstein into his plans to build a so called “Emperor”s road” from Burg Stolpen (Stolpen Fortress) right into the Easter Ore Mountains. Those in Waltersdorf who were not farmers worked mostly as skippers or as quarrymen until the end of the 19th Century. The village is surrounded by walking paths, which reward you with panoramic views across the mountains even when you are out for even a short walk. The spa town of Rathen, with its famous Bastei Brigde, is Waltersdorf’s next-door neighbour.